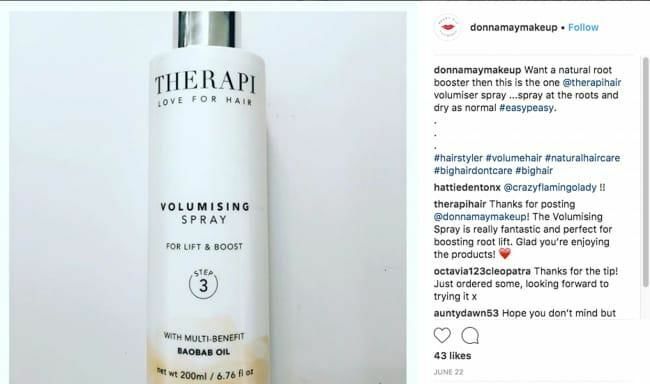 Celebrity Make Up Artist to the stars of the ITV chat show Loose Women has shared one of THERAPI's best selling products, the Therapi Volumising Spray with her followers, praising the product's ease of use! 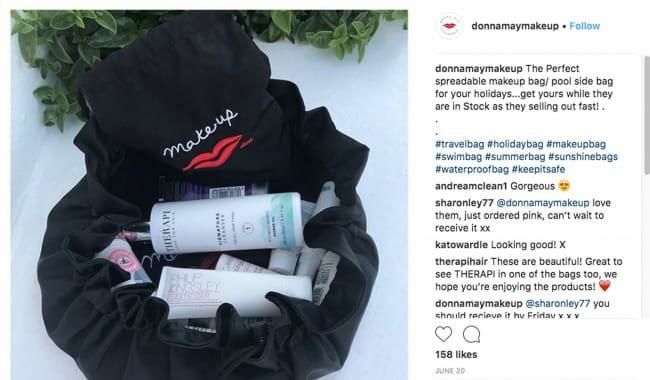 Donna also showcased the THERAPI Signature Cleanser in one of her makeup/pool side bag to followers. Thank you Donna for your fantastic posts!